Our network infrastructure has been constructed to position us as the premier solution provider for reliable, high-speed Internet connectivity with extremely high availability. Fast, continuous, un-congested packet flow is the primary focus of our hosting business unit. We have invested heavily in our network operations center providing top notch fiber connections & redundancy. When leasing a dedicated server from FPWH or utilizing our co-location services, your equipment will have battery and generator power failure protection 24 hours a day, 7 days a week. Our staff is available 24/7/365 to make sure that your server is up and running. 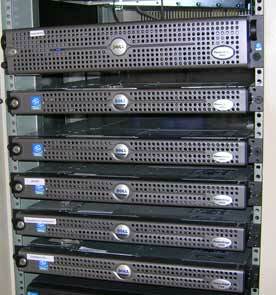 We use Dell servers & switches, Cisco switches & routers, and Liebert UPC power backup. FPWH provides full network management and support for all of our clients. We have the experience and knowledge necessary to help stop hacking attempts and to ensure that you have the best possible connection available on the Internet today. Our network is continuously monitored both internally and from external sources so that we know of issues and can begin working on them before they effect your service. Our customer support engineers have the knowledge and experience to help you work through any problems with customization, configuration, and security all while maintaining a personable relationship and openness that is rarely found in this industry today. Our support center is available live via the phone (not just by email or IM) 24/7/365. FPWH provides an industry first -- real time nightly backups on our SAN (Storage Area Network). Our SAN is connected with every shared and dedicated server allowing us to backup all of our clients content nightly. Our backups are stored both on site and off site for your protection and data reliability. FPWH has redundant Liebert UPS battery backup units for all of our servers. We have over 40 minutes of battery backup time which is more than sufficient time for our on-site generators to kick on and take over in case utility power is cut. We are also located less than 1/4 mile from our local utility power headquarters (we know they want and need to make sure they have power at all times for their headquarters) and receive power from multiple sources. 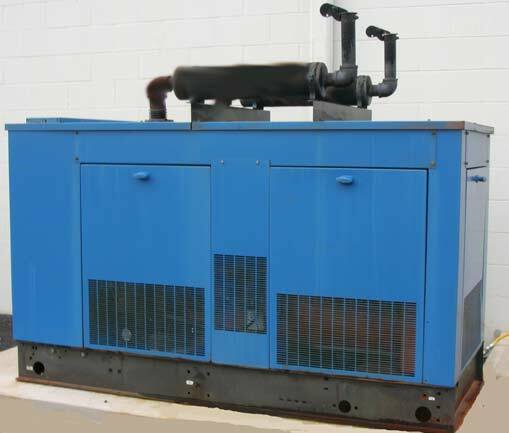 Our on-site generators take approximately 12 to 15 seconds to kick on and provide 4 times the necessary power to run our facility.